A woman in Catawba County recently plead guilty to manslaughter. The charge resulted from a domestic dispute which escalated to the point of the woman shooting her husband. The woman then tried to cover up the death by setting the body on fire. The police learned of the incident when they were called to do a well-being check on the woman. The woman’s daughter called the police after she knocked on her mother’s door but did not get a response. The woman had been in trouble before this because of several DWI charges. It is believed that the mother left the home in her vehicle after shooting her husband then came back approximately 30 minutes later. When police arrived at the home they saw smoke and flames. They found the woman in the home suffering from smoke inhalation and excessive alcohol consumption. She was taking to the hospital for treatment and her BAC was a 0.36 at the time. Those of us operate a vehicle on the road know it is illegal to do so while impaired from consuming too much alcohol. It is just as illegal to operate a vehicle while under the influence of drugs. If you are impaired under either you may be stopped and charged with DWI. 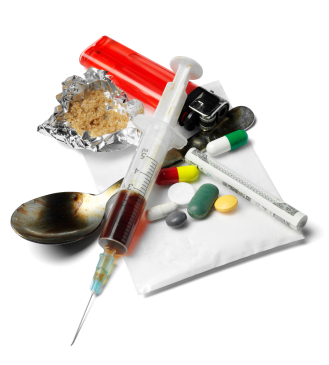 Drugs such as LSD or cocaine can certainly lead to impairment, but so could legal substances such as cough medicine or prescription medicine. If you are impaired from excessive alcohol consumption police can test your breath to obtain your BAC to determine how intoxicated you are. The problem that arises from drug impairment is determining how impaired the driver is. Additionally there are not guidelines as to how to determine exact legal impairment while under the influence of drugs. The law is exact that for alcohol the legal limit is .08 BAC, but there is not such a limit when it comes to drug intoxication. In order to determine if someone is too impaired to driver while under the influence of drugs courts often rely on the police officer’s testimony. Law enforcement is trained on what signs and symptoms to look for, such as red/glassy eyes or sluggish physical responses. Some cases may present more obvious evidence of impairment but others can leave a more grey area open. The problem is that some individuals may present some of these symptoms but may only be fatigued, suffering from allergies, or another medical ailment that may lead an officer to believe a driver is impaired. If you have been charged with DWI from drug it is important to hire an experienced attorney to defend you. This area of the law leaves open a lot of room for argument and an attorney who knows the law may be able to keep a DWI from appearing on your record forever. Does a Delayed Reaction at a Stop-light Give Rise to Reasonable Suspicion? The answer is, as it oftentimes is with the law, it depends. If a driver is delayed at a green light in North Carolina, this appears to be an extremely fact specific inquiry. When initiating a traffic stop, police simply need reasonable suspicion, and courts will examine all of the surrounding circumstances to determine whether the stop was justified. This factual scenario occurred in the case, State v. Roberson, 163 N.C. App. 129 (2004), a police officer initiated a traffic stop after a suspect had about an eight to ten second delay at a traffic light. This took place around 4:30 in the morning, and the defendant was driving in an area where several bars and restaurants were located. The holding in this case stated that the officer did not have reasonable suspicion to stop the vehicle, due to the fact that it was over two hours after bars had closed and the delay at the traffic stop was the only thing that could have tipped the officer off that the man was not paying attention. However, in State v. Barnard, 184 N.C. App. 25 (2007), an officer observed a vehicle at a stoplight for more than thirty seconds after the light turned green. This was in a high crime area, and a number of bars were located in the region. This case held that the officer did have reasonable suspicion to justify the stop here. In a third case, State v. Parker, 137 N.C. App. 590 (2000), reasonable suspicion was found where a defendant remained stopped at an intersection for thirty seconds just like the last case. The delayed reaction permitted the officer reasonable suspicion under these circumstances. So, the moral of the story here is that police may stop you for a delayed reaction at a traffic light or intersection; however, it appears as though a time delay of just a few seconds is not enough. The time delay must be around 30 seconds or above. 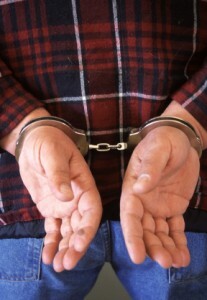 Less time may be justified if the surrounding circumstances point to an intoxicated driver. There is no set standard for reasonable suspicion here rather than a look at the totality of all of the circumstances. 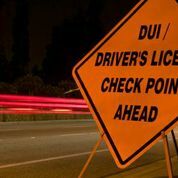 What is a Reasonable Place to Position a DWI Checkpoint? One of the worst feelings for a driver, who has been drinking, is coming upon a police DWI checkpoint. Many drivers are confused as to what to do in such a circumstance, and it is imperative that they understand their rights. As the summer months approach, police will be conducting more and more of these checkpoints throughout Mecklenburg County. Must be reasonable in the way it is conducted or carried out. The court further stated that any type of driving violation can be considered a primary purpose, meeting the first factor. Violations such as expired registration or inspection, not having a driver’s license, or driving while impaired. Therefore, for almost any reason, the police can conduct a checkpoint; however, the circumstances must be reasonable. The reasonableness standard is where checkpoint location is determined. In Mecklenburg County, home of Charlotte, these checkpoints are usually conducted on Friday or Saturday nights, typically late at night and stop usually after bars and restaurants have closed. Additionally, these checkpoints are also positioned where a large number of drunk driving accidents occur, and on major thoroughfares. Recent locations have been on Park Road, near Tyvola, or near the Dilworth area There are also many clusters in Montford, Plaza Midwood, NoDa, and the University area. Law enforcement officers in Iredell County arrested two men after an investigation of a drug selling operation. Detectives started getting information early in the year that large amounts of cocaine were being sold in the area of Iredell and Yadkin counties. Law enforcement officials from Iredell and Yadkin counties as well as the State begin to investigate the reports. Undercover officers were used in a three month investigation. The undercover officer purchased over 4 ounces of cocaine from the two men that were arrested. On the street that amount of cocaine is worth approximately $35,000. One of the men is now charged with six counts of trafficking cocaine, two counts of selling and delivering cocaine and two counts of possession with intent to sell or deliver cocaine. The second man is charged with conspiracy to sell cocaine. Police are continuing the investigation and expect that more arrests will be made. A deputy in Cleveland County shot a man during a traffic stop. The incident happened after a deputy pulled a vehicle over in connection with a drug crime. After pulling the vehicle over the deputy called for backup. A second deputy arrived on the scene with the first deputy within minutes. The suspect in the vehicle assaulted the first deputy after getting out of the vehicle. After the assault the suspect got back in his vehicle and appeared to be grabbing something. AT that point one of deputies shot the suspect. After being shot the suspect fled the scene but was captured. His injuries were non-life threatening. It is unknown exactly what the suspect will be charged with and the exact details that led up to the shooting. More information will likely be released after an investigation. H.B. 84, a bill that would permit medicinal marijuana use for medicinal purposes, has been introduced in the North Carolina House of Representatives. Currently eighteen other states have laws on the books which would permit marijuana use if it was prescribed by a doctor. Various studies were cited by the representatives illustrating that marijuana is effective for pain relief in various serious ailments. Further, the representatives cited a poll of North Carolina residents in which 60 percent of residents approved the use of medicinal marijuana in the state. Research studies have shown benefits of marijuana use for those with illnesses such as AIDS, diabetes, and cancer. Medicinal marijuana has also been supported by the American Medical Association who have recommended that the government reclassify the drug. Also, in addition to its medicinal uses, representatives believe that passing this bill would reduce drug possession offenses because those who are using the drug for pain relief will be able to obtain it legally. After leading Charlotte-Mecklenburg Police Department on a vehicle pursuit through two counties, an officer in Stallings observed a vehicle make an illegal turn, and attempted to initiate a traffic stop. Thereafter, the suspect attempted to hit the officer’s vehicle and sped back towards Mecklenburg County. This took place at approximately 1:30 a.m. According to the police report, the chase extended throughout Stallings, Matthews, and Charlotte, ultimately coming to an end when the suspect’s vehicle finally came to a crashing halt. It is estimated that the police pursued the man for more than 20 miles. The driver is being charged with possession of cocaine, failure to stop for a blue light, speeding to elude arrest, stop sign violation, and a probation violation. Additional charges may also be pending at this time.